J.H. 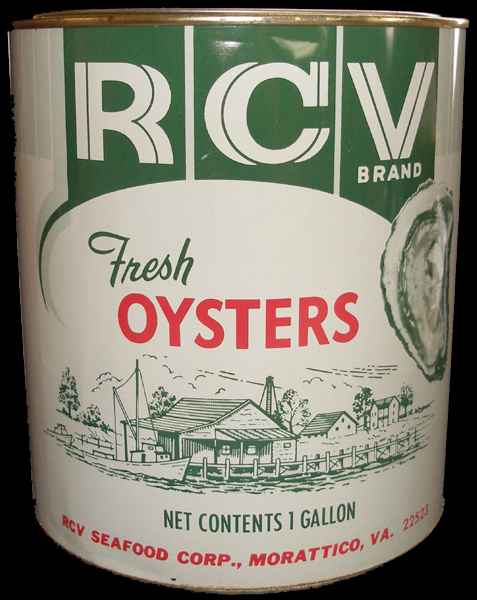 Miles gallon from Norfolk, VA.
RCV Brand gallon oyster can from Morattico, VA.
Manokin River gallon oyster tin from Upper Fairmount, MD. 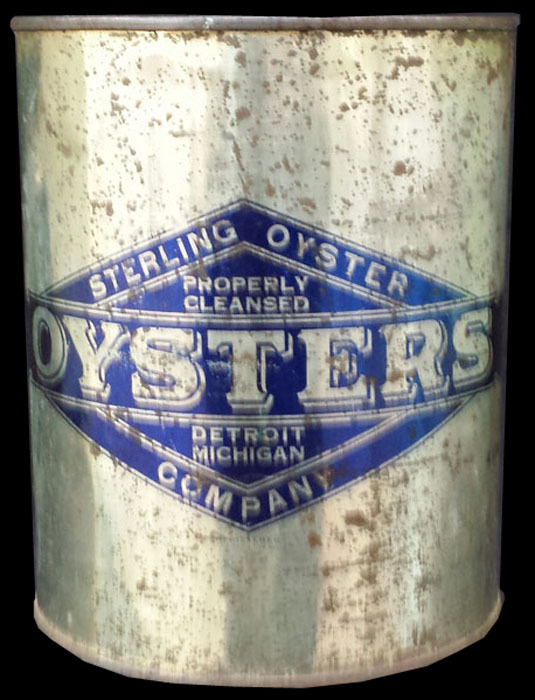 Sterling 1/2 gallon oyster tin from Detroit, MI. 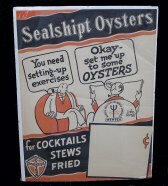 Sea Sa We Hak Brand Gallon Oyster. 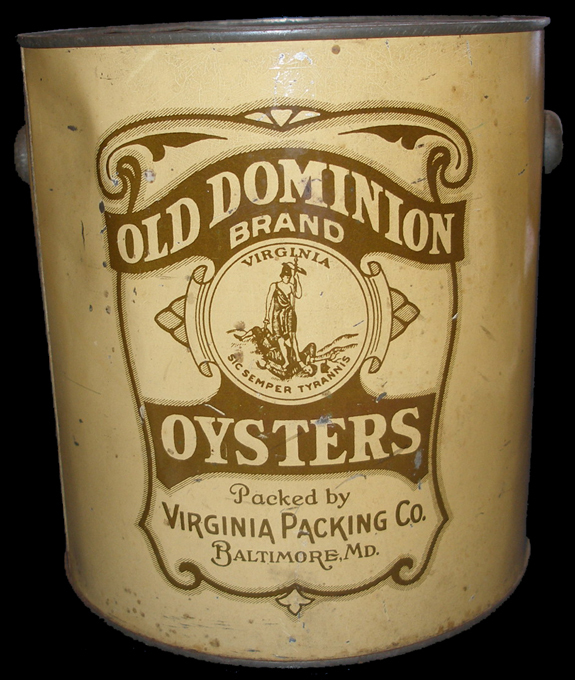 Old Dominion Gallon Bail Handle Oyster Tin. 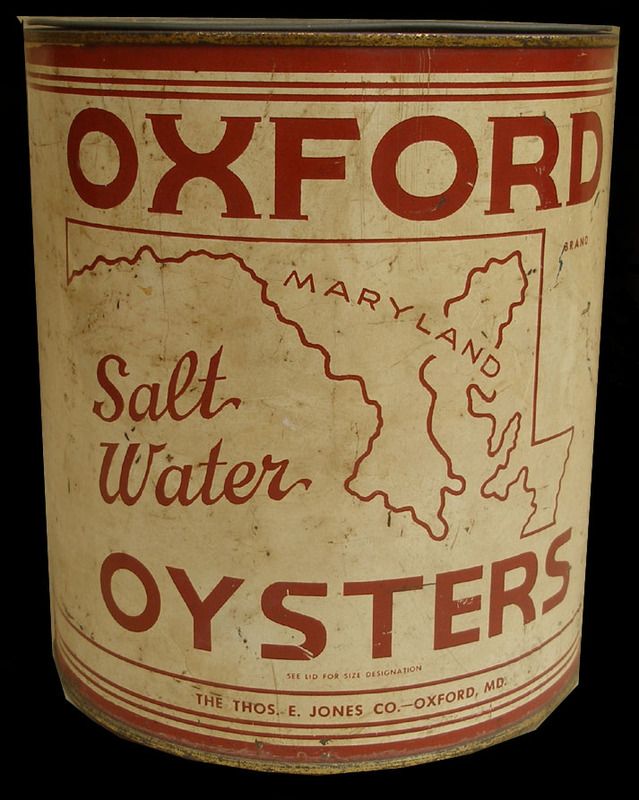 Oxford Salt Water Gallon Oyster Tin. 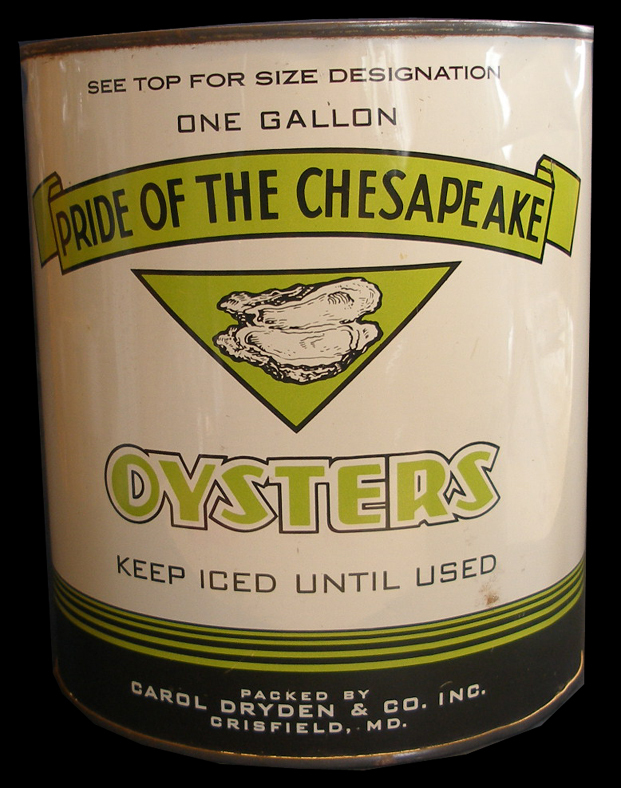 Pride of the Chesapeake gallon oyster. 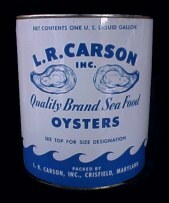 Garland Gaskin Goose decoy, Wallops Island, VA.
Express Brand Gallon oyster tin. 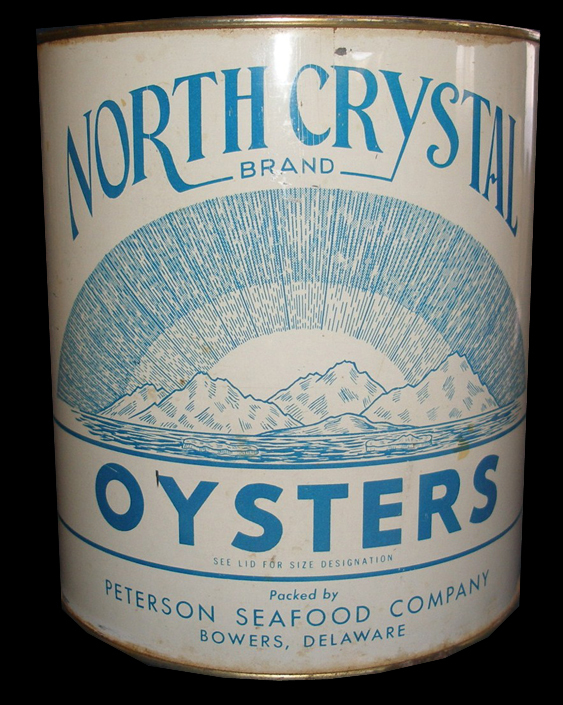 Seacoast 12 oz. 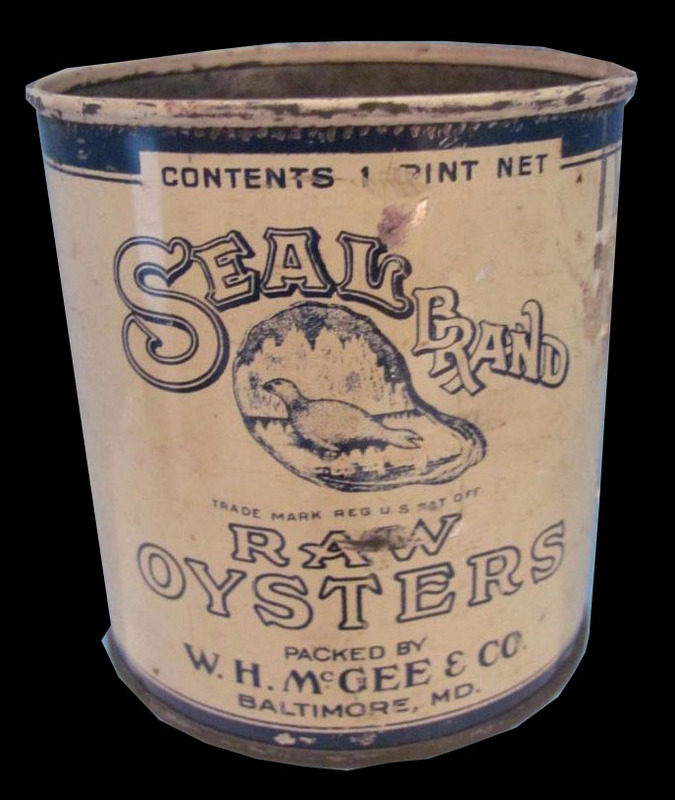 oyster tin, Baltimore, MD. 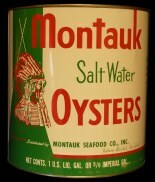 Peconic Bay Gallon Cutchogue, NY. 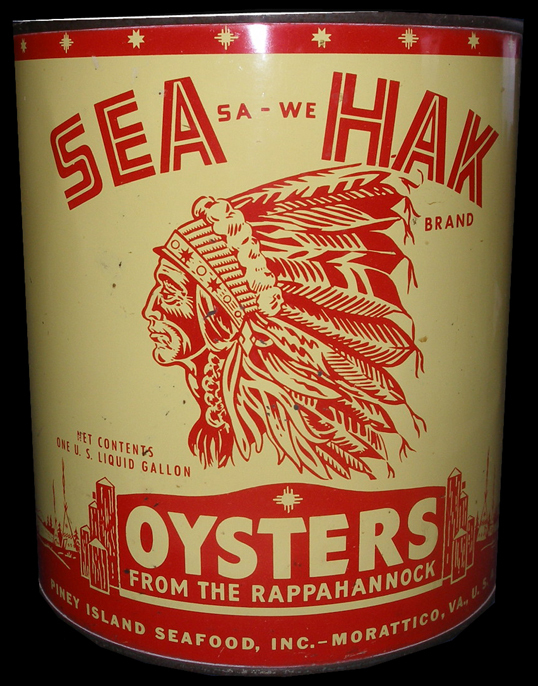 Chesapeake Brand Typewriter ribbon tin. McCallister gallon from Baltimore, MD. J.H. Miles gallon, packed by Warren Denton in Broomes Island. 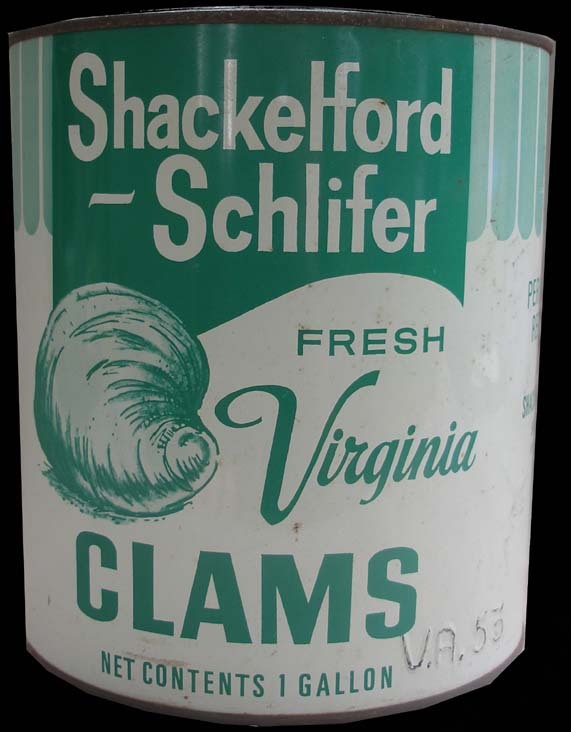 Burton's gallon from Chincoteague, VA.
North Crystal gallon, Peterson Sfd. Co., Bowers, DE. Capt. 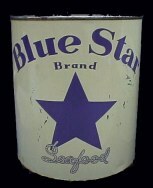 John's pint, Atlantic & Pacific Tea Co.
Blue Cross gallon bail from Baltimore, MD. Majestic half gallon bail, Baltimore, MD. Mini Paper Mache Mallard Pair Saleman samples. A wooden Yellow Perch decoy from Hills Creek Lake Decoy Co.
Alvin Meekins miniature Swan decoy from Hoopers Island, MD. Killian gallon bail from Baltimore, MD. 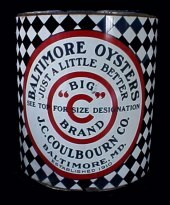 Gulf Belle Shrimp tin from New Orleans. 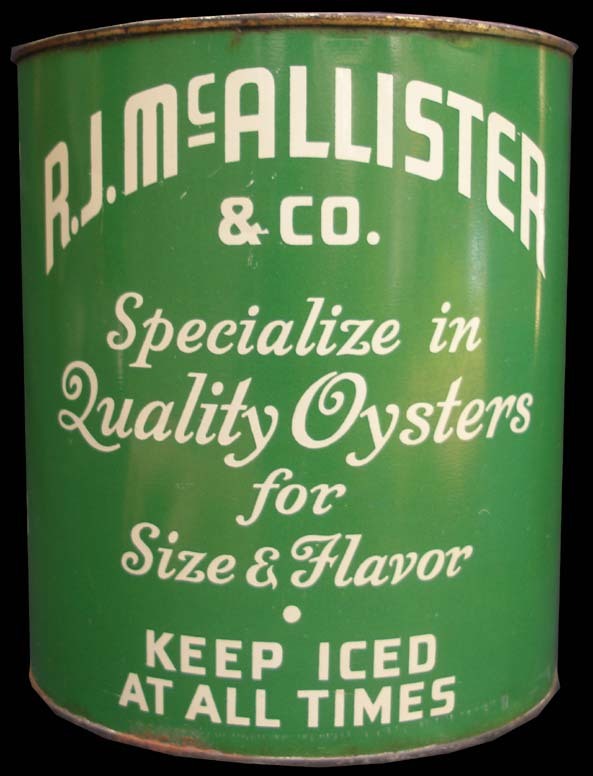 Gulf Kist shrimp tin from New Orleans. 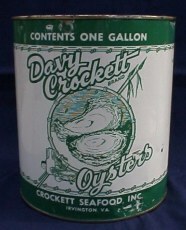 American Beauty shrimp tin from Biloxi, Miss. 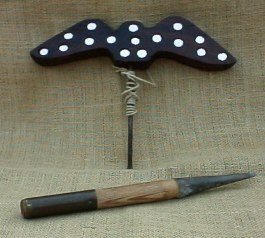 Robert Tucker mini Swan from Rock Hall, MD. 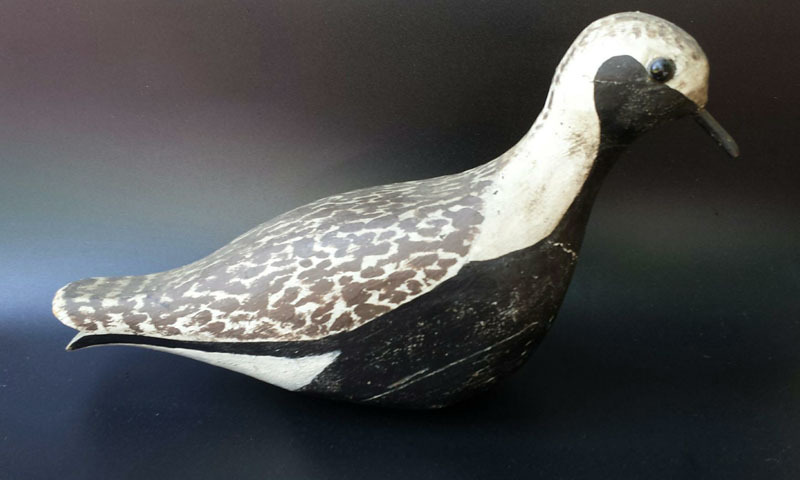 Great looking Black Duck decoy. 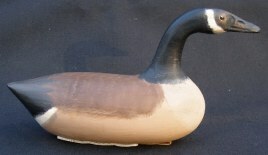 A full size Brant decoy by Gary Crossman. Ken Harris mini Wood Duck from Woodville, NY. 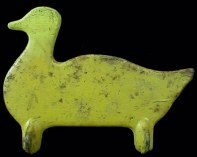 Herb Daisey Jr. Miniature Goose decoy. Chef gallon bail from Baltimore, MD. 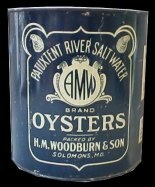 Cooks gallon from Bena, VA.
Tred Avon River Brand gallon from Oxford, MD. Flare Gun by F. W. Heym. 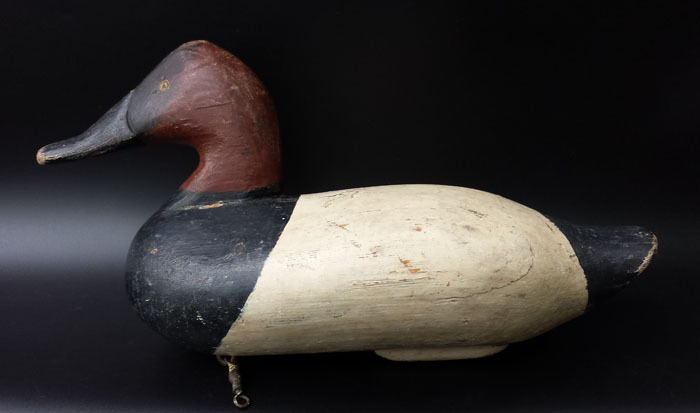 Black Head Duck Decoy from Annapolis, MD. P.W. Marshall Mini Wigeon Pair. 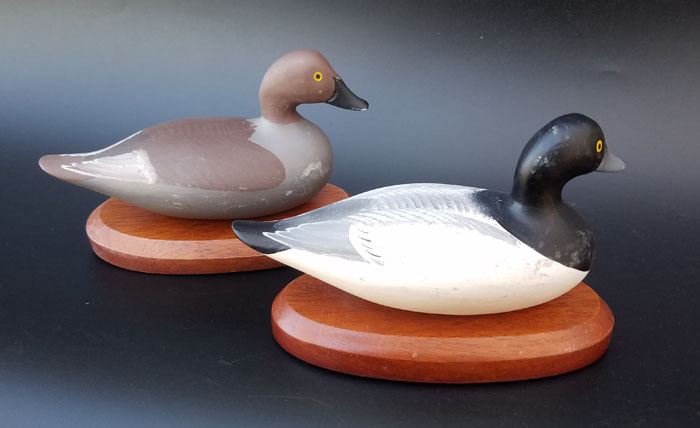 Danny Marshall Canvasback Decoy Pair. 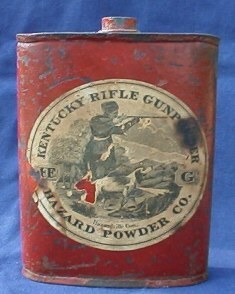 Ray Jones gallon from Whittman, MD. 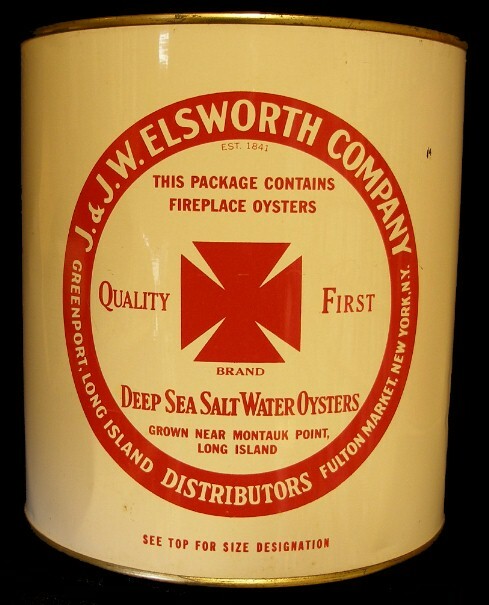 Du Bois gallon from Bivalve, NJ. 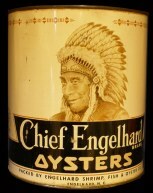 McCready gallon from Chincoteague, VA.
Jones Bros gallon from Chincoteague, VA.
Patuxent River Gallon from Oraville, MD. Tyler miniature Pintail from Crisfield, MD. Wm. "Bill" Cranmer Mini Wood Duck pair from New Jersey. Madison Mitchell Mallard pair from Havre de Grace, MD. Canvas Mallard Pair by Oliveros of Houston, TX. 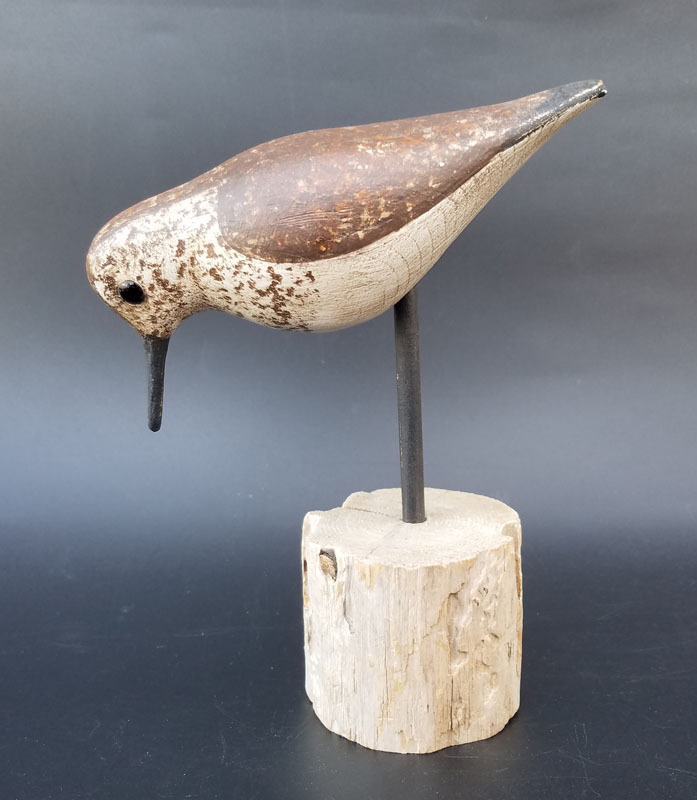 Mini Canvasback by Bill Joiner of Chestertown, MD. 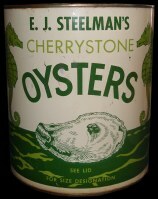 Tilghman Half gallon oyster tin from Tilghman Packing. 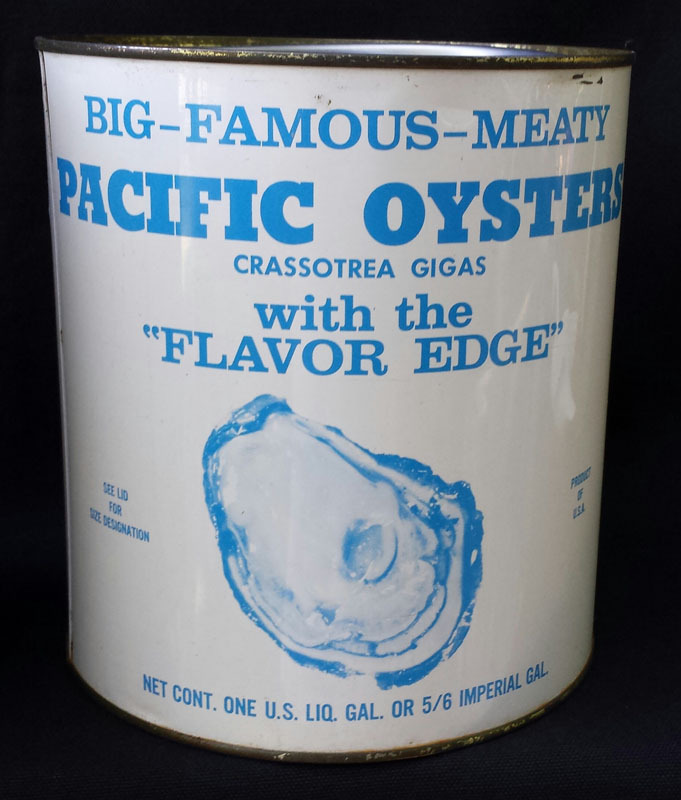 Pin Point Brand pint oyster can from Savannah. Capt Bill's one lb. 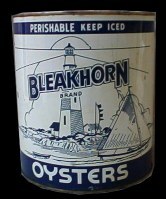 crab meat can from Hygiene Crab Co., Biloxi, MS.
Bufflehead pair of miniatures by Bill Joiner of Chestertown, MD. 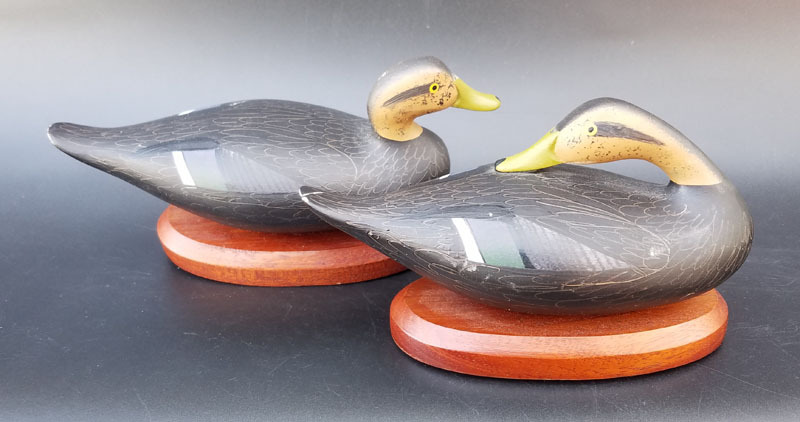 Mallard pair of miniatures by Bill Joiner of Chestertown, MD. 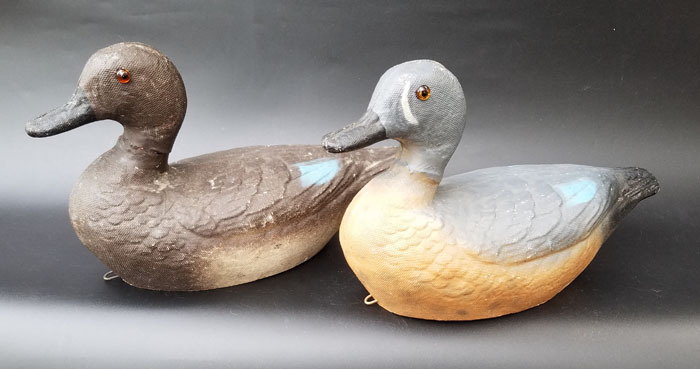 Pintail pair of miniatures by Bill Joiner of Chestertown, MD. Wood Duck pair of miniatures by David Blackiston of Chestertown, MD. 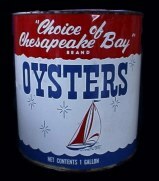 Milbourne pint oyster can from Crisfield, MD. 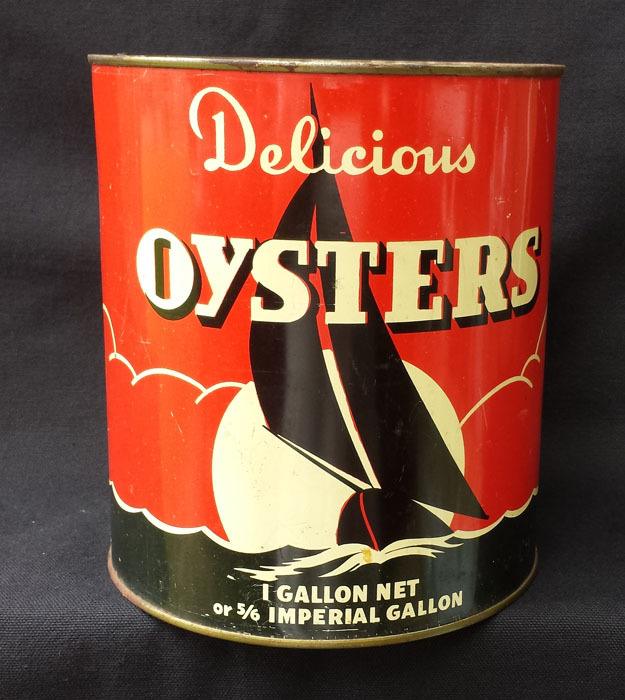 Drewer gallon oyster tin from Saxis, VA.
C. C. gallon oyster tin from Biloxi, MS.
United Oyster Products gallon from Seattle, WA. 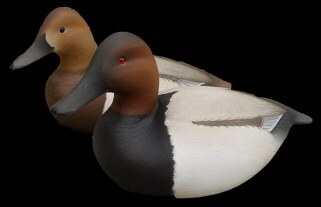 Redhead pair of Wildfowler Decoys from the Bill Cranmer pattern. Redhead drake by Paul Gibson. 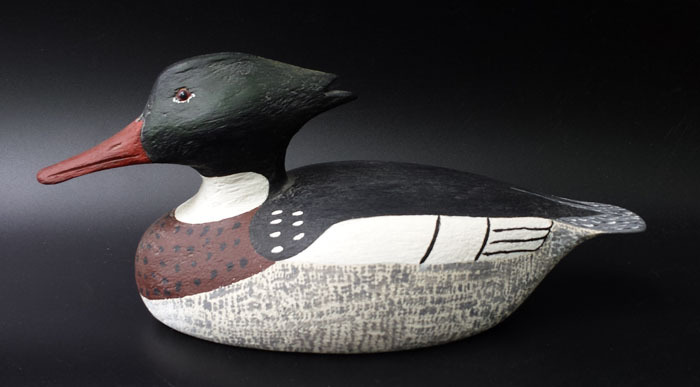 Mini Merganser decoy by Art Sharply of Chincoteague, VA.
Bufflehead drake decoy by Jimmy Pierce, Havre de Grace, MD. 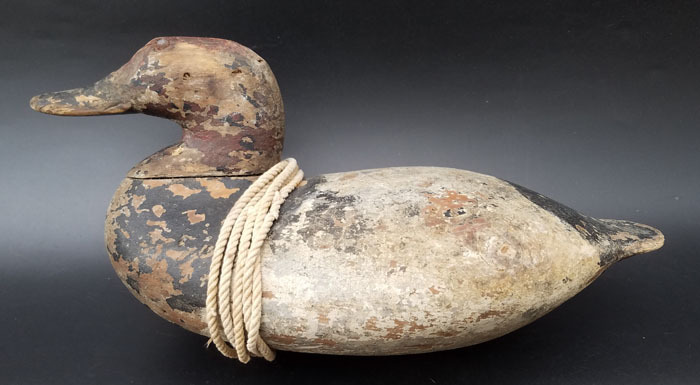 Canvasback Sinkbox decoy by Jimmy Pierce, Havre de Grace, MD. 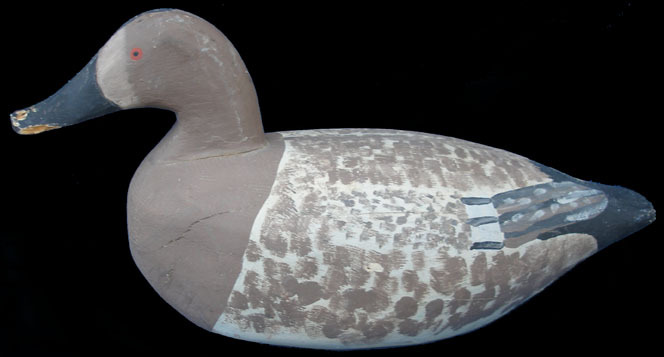 Brant decoy by John Clark, Havre de Grace, MD. 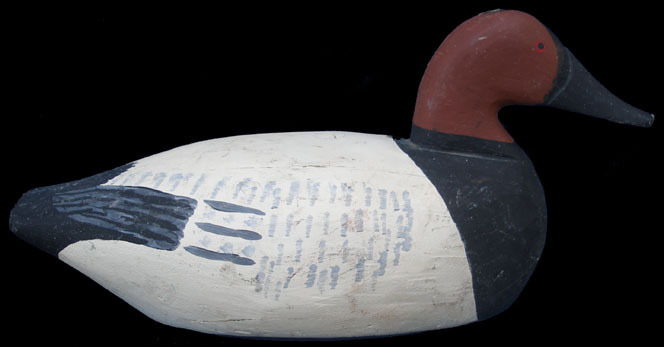 John Meredith Canvasback decoy from Worton, MD. 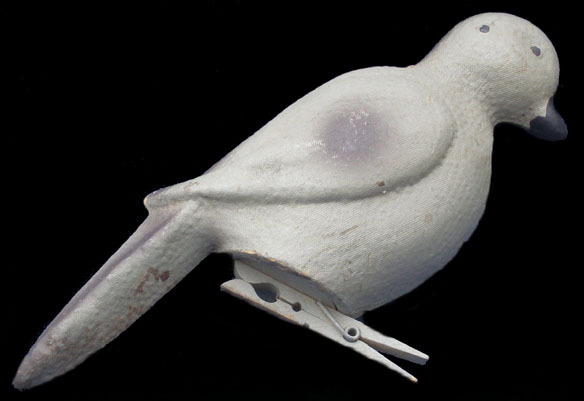 George Cook Golden Eye decoy from Kent Island, MD. 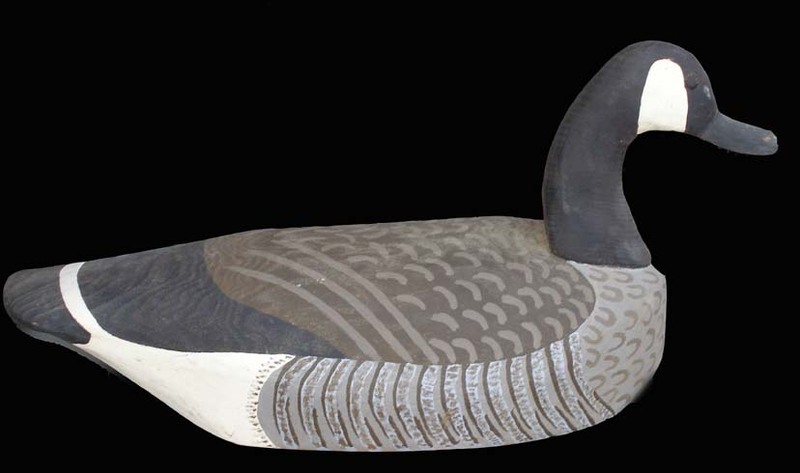 Black Swan mini decoy by John Clark, Havre de Grace, MD. Mini Ruffed Grouse pair by Ronald Holmes, VA.
Mini Canvasback pair by Ron Rue, Cambridge, MD. 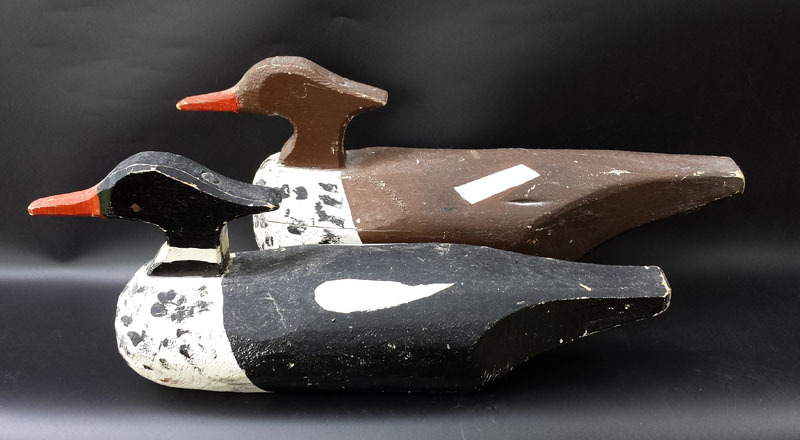 Hoopers Island Merganser Pair by Fred Creighton. 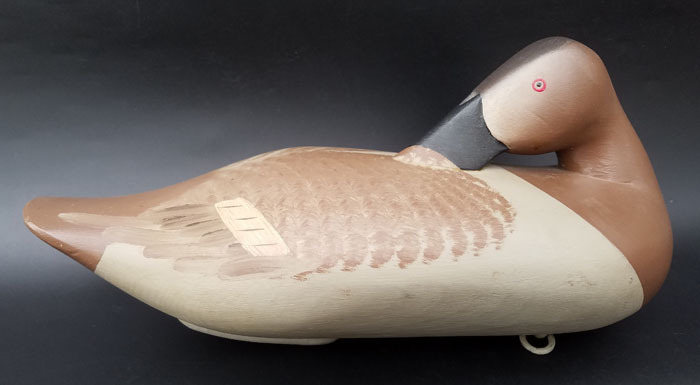 Ron Rue Dove decoy from Cambridge, MD. 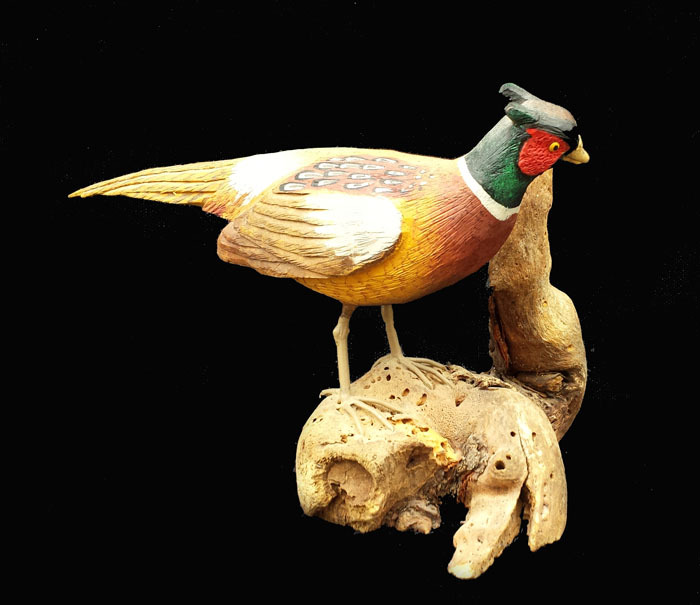 Pheasant by Stan Sparre of Cape Cod, MA. Miniature Mallards by Grason Chesser. Canvasback from Cecil Co., MD. Branded "J.S.R." 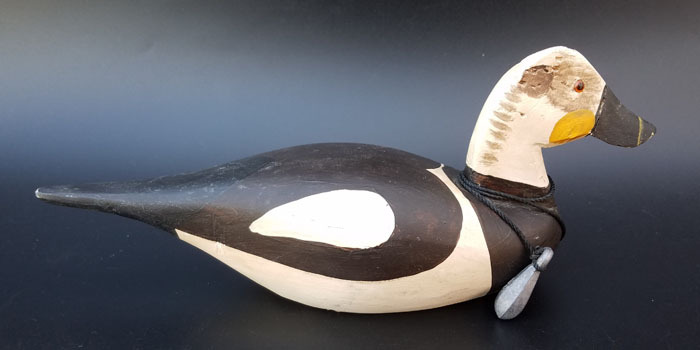 Lou Doughty Merganser Decoy from VA Beach. 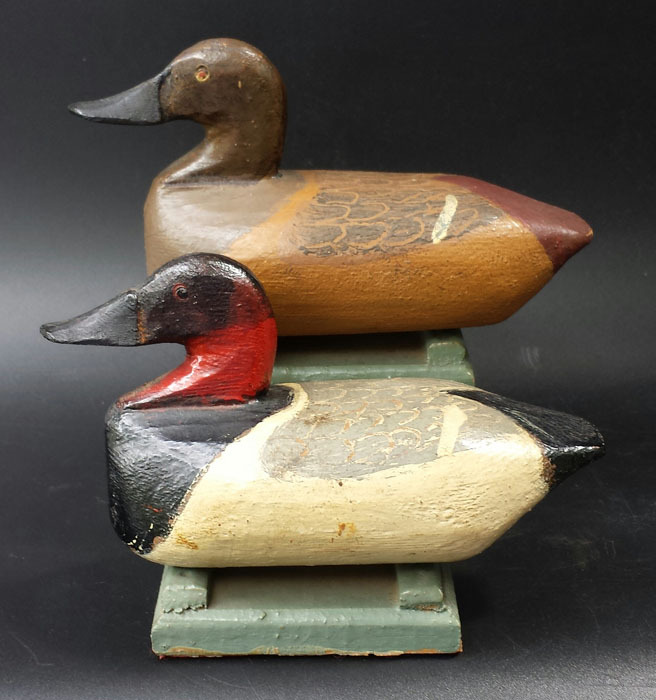 Mini Mallard Decoys by Gilbert Whidden, Chincoteague, VA.
Seal Brand pint oyster can from Baltimore, MD. 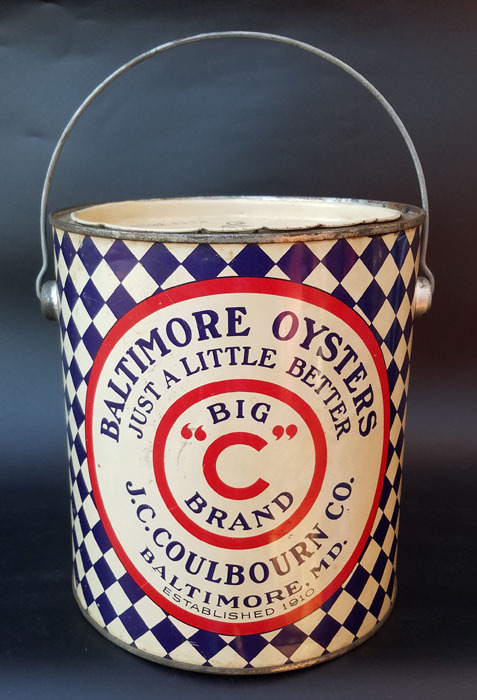 Big C Brand bail gallon oyster tin from Baltimore, MD. 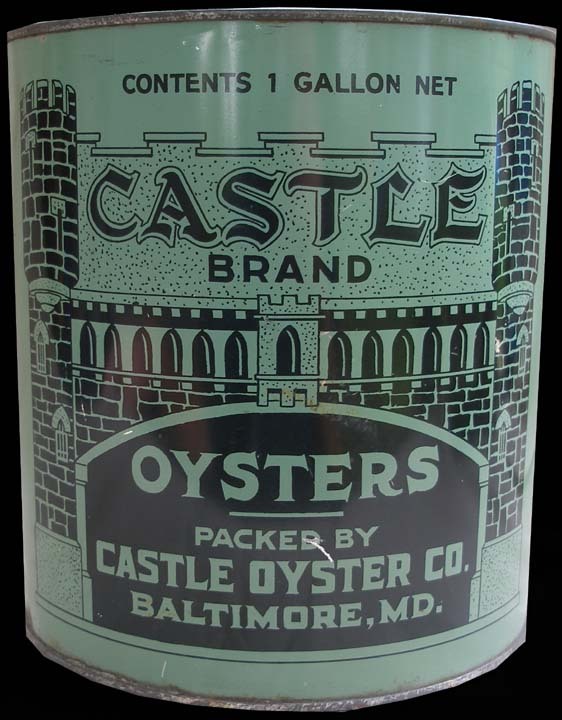 Majestic Brand bail handle gallon oyster tin from Baltimore, MD. Mini Bluebill pr. by Pat Vincenti, Havre de Grace, MD. Mini Black Duck pr. by Pat Vincenti, Havre de Grace, MD. Shorebird by Steve Morey, Tuckerton, NJ. 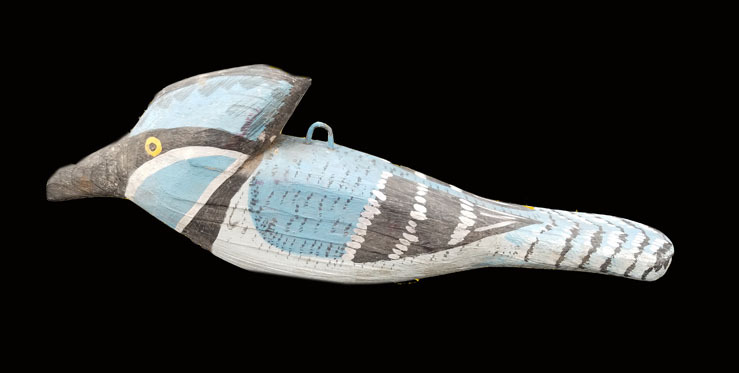 Blue Jay bird carving by Jimmy Wright. Mini Shoveler pair by Titbird Bauer, Havre de Grace, MD. Mini Loon pair by Titbird Bauer, Havre de Grace, MD.